The financial crisis of 2007-2011 brought us countless examples of people whose cheating led to unbelievable prosperity. Companies lied, deceived, and swindled, shamelessly and often, but the people running them were never held accountable. To the contrary, they prospered to an unimaginable degree. A while back The Curmudgeon wrote about one of major league baseball’s steroid cheaters who managed to get a job as a manager of a major league baseball team, proving once again that in professional sports, cheaters can and do prosper. Recently, the New York Yankees announced that they won’t pay a contractual bonus to Alex Rodriguez for passing Willie Mays on baseball’s all-time home run list. Rodriguez is a cheater who never should have been permitted to play baseball again because he benefits permanently from his cheating; the physical benefits derived from steroid use don’t disappear just because you stop using the steroids. Rodriguez is clearly committed to sucking every dollar he can out of his baseball career even though, according to the authoritative baseball-reference.com web site, he will have earned $420 million – not a misprint – playing baseball by the end of the 2017 season, when his current contract expires. Rodriguez will sue the Yankees if they don’t pay that bonus because the man knows no shame; if he did he would have quietly disappeared for good when major league baseball suspended him for a full year for using steroids and lying about it. He’ll probably win that lawsuit, too, because the Yankees put the bonus in writing even though they had a pretty good idea he was a cheater. Now, though, they’re outraged – outraged! – over his past conduct. You have to wonder, though, whether they’re outraged about the cheating he did to help make himself a great player or whether they’re outraged that he was careless enough to get caught cheating. If Rodriguez, his steroid use aside, wasn’t so thoroughly unlikeable, there would undoubtedly be people expressing admiration for his willingness to do anything it takes to succeed and help his team. That’s the culture of professional sports. The Curmudgeon remembers well back in 1980, when the infamous Billy Martin was managing an Oakland Athletics team that was short on talent and long on hustle, and one of his tools for compensating for its lack of talent was the stolen base. At one point someone thought they saw something funny and measured the distance between first base and second base in Oakland’s stadium and found that it was eight-nine feet and not the regulation ninety feet – an excellent way to facilitate base-stealing. Sure enough, there were people who expressed admiration for Martin and his willing “to do whatever it takes” to win, as if it wasn’t cheating because it was in pursuit of a greater goal. And recently we saw two more examples of athletes cheating or breaking the rules and the penalties they have and haven’t endured as a result. 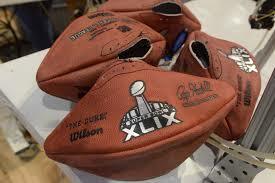 A four-month investigation commissioned by the National Football League concluded that it was “probable” that the Super Bowl champion New England Patriots succeeded in part by deflating footballs to make it easier to throw and catch them and that the team’s quarterback, all-American boy Tom Brady, was at the center of this cheating. The league responded by suspending Brady for the first four games of the 2015 season, which will cost him $2 million in lost wages (he has been paid about $150 million during his career, so he’s not going to need to resort to clipping coupons and applying for food stamps). But is Brady really being held accountable? If you consider what he did not to be that bad then you may be satisfied with the punishment. If you view his actions as more serious then you may see a four-game suspension as little more than a slap on the wrist and you also may note that Brady’s team may suffer more than he will. Will Brady be hurt? Will his name be erased from a Super Bowl trophy? Will he be denied entry to the football hall of fame? Will his endorsements disappear? Probably not. Will his squeaky clean, good-guy image be tarnished? Maybe a little. Will he care? Probably not. He cheated and he prospered. Maybe we should cut Brady a little slack because the team he plays for has a well-earned reputation for cheating. In 2004, his New England Patriots were accused of videotaping the practices of their Super Bowl opponents, although it was never proven. Three years later they were caught in the act of videotaping the hand signals future opponents used to transmit plays from their sidelines to the players on the field. Like the Wall Street brokers who persuaded customers to buy stocks their company was dumping and the mortgage companies that lent money they knew the borrowers could never repay, the Patriots have a real culture of cheating. For their most recent cheating they were fined $1 million by the NFL, which doesn’t seem like a whole lot of money, and were stripped of a few future draft choices, which will hurt them. But they get to keep their latest Super Bowl trophy and get to keep the money they got from winning that game, so will this punishment, such as it is, discourage the team from bending the rules again? Doesn’t seem likely, since they’ve been down this path before. 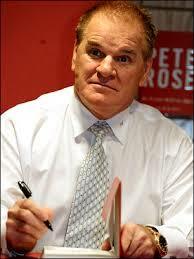 Someone else who broke the rules was banned from his sport “forever”: baseball player/manager Pete Rose. When irrefutable evidence surfaced that Rose bet on baseball games while he was managing a baseball team, he was banned from baseball for life and excluded from consideration for baseball’s hall of fame. Supporters of Rose like to point out that he only bet on his own team, but anyone who doesn’t understand how that really doesn’t matter should feel free to contact The Curmudgeon and he will be happy to explain why that’s irrelevant. Every few years people speculate that maybe it’s time that major league baseball lifted its lifetime ban on Rose, and that talk resurfaced recently when Fox Sports announced that it has hired Rose to serve as a baseball studio analyst. It’s a terrible, terrible move that major league baseball has chosen not to oppose. It’s an awful, morally bankrupt decision both by major league baseball and by Fox Sports. The Curmudgeon got a good laugh recently when he read on the Comcast Sportsnet Philadelphia web site that “Rose was banned from the sport in 1989 after reports emerged that he bet on baseball while managing the Reds. The debate over his eligibility for the Hall of Fame (or lack thereof) has raged ever since. The idea that Rose was banned because “reports emerged” is ludicrous. It was more than “reports”: major league baseball conducted an exhaustive investigation of the allegations against Rose and found irrefutable proof of his gambling; you can read that report here. For years Rose denied betting on baseball games, but if he didn’t, why did he sign an agreement to a lifetime ban from participating in anything having to do with the game? He’s never explained that, never even talks about it. And now it looks like a “lifetime ban” doesn’t even cover an entire lifetime. Rose is a cheater, and the major punishment is his ban from the baseball hall of fame. If you’ve ever been to the hall of fame, it’s actually two parts: a literal hall of fame – a room full of floor-to-ceiling pillars bearing plaques of those chosen to be in the hall – and a museum displaying memorabilia associated with the game’s great players and their achievements. Rose’s accomplishments are on display in the museum but it’s access to the hall that’s been denied to him. And that’s as it should be. He has no place being honored by the game he dishonored, just as he has no place being employed as a studio analyst by a national broadcast network showing major league baseball games. Rose’s baseball life should be relegated to attending autograph shows and signing his name on the baseball cards of geezers who think there’s nothing wrong with what he did and are willing to fork over twenty dollars for his signature. (And it’s worth noting that Rose spent five months in jail after being convicted of tax evasion: he hid the money he made signing those autographs and winning at the race track. In addition to going to jail he was fined $50,000 and had to pay more than $360,000 in back taxes and interest. This is a guy who clearly has trouble distinguishing right from wrong.) A lot of people are willing to spend that twenty dollars – enough of them, anyway, for Rose to make a living doing it. Yet another cheater who has prospered.